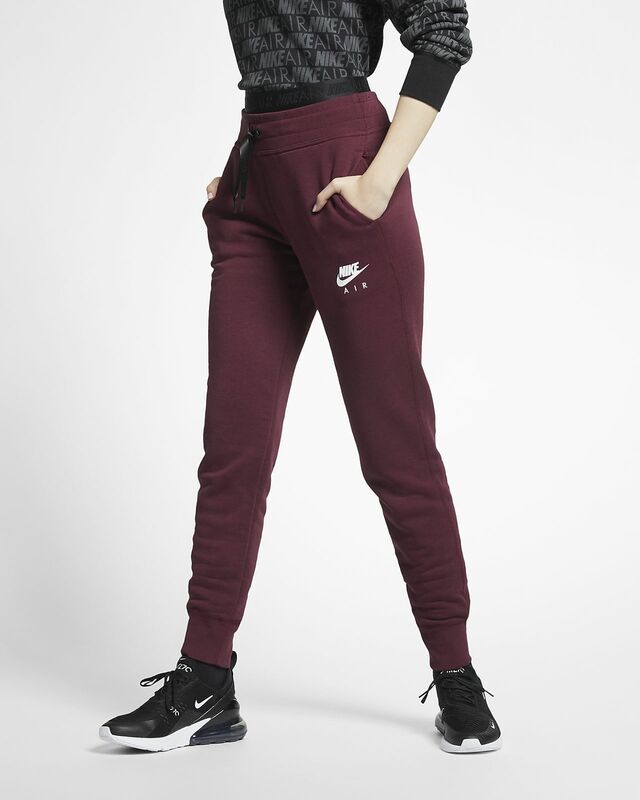 Double up in Nike Air style with the Nike Air Women&apos;s Fleece Pants. Their double waistband creates a snug feel and a layered look for a fun twist on your favorite sweats. This one fits perfect. The 'loose' version is too loose. Recommend these sweat pants.